FLINT TWP. 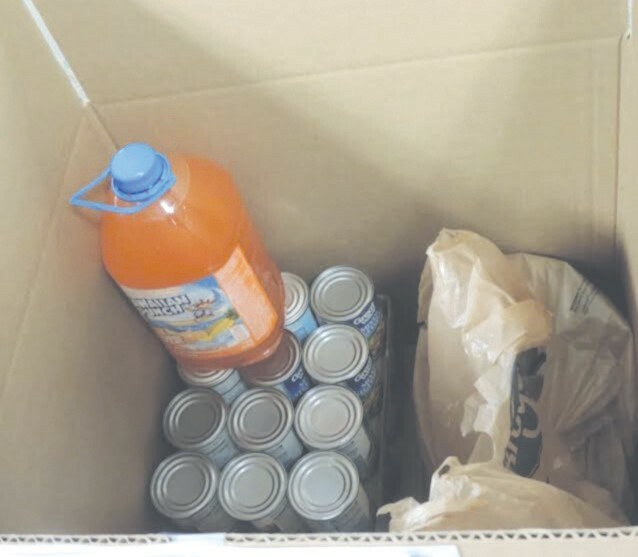 — A food drive to help stock the pantry at the Senior Citizen Center, 2071 Graham Road, emphasizes that feeding the hungry is not just a holiday gesture but year-round. 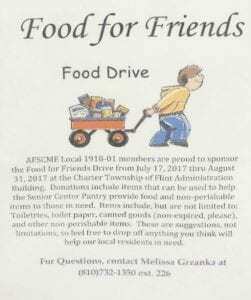 Spearheaded by the AFSCME Local 1918-01, Flint Township Clerical Union. a donation collection box has been placed in the lobby at the township administration building, 1490 S. Dye Road. It will be there until the end of the month. Donors are asked to bring not only nonperishable food items but also household supplies such as soap, detergent and toothpaste. The drive grew out of a request last month from Trustee Barb Vert, who is the board representative to the senior center. “There is a really big need; you would be surprised,” Vert said of the demand on the senior center pantry stock. 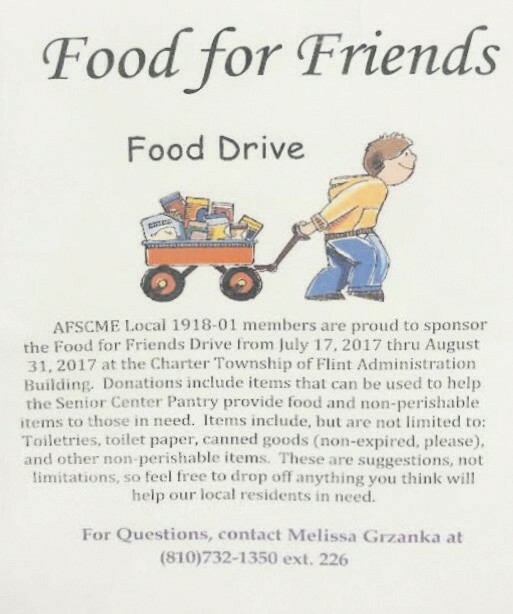 Clerk Kathy Funk suggested asking the clerical union to sponsor a drive because it is known for its charitable work. That’s the group that each Christmas produces the mitten tree decorated with knitted hats, gloves and scarves that are ultimately given to local students as Christmas gifts. She added that she does get grant money for the pantry and tries to stretch it as much as possible by shopping at the Food Bank of Eastern Michigan. Vert asked that donated food not be expired. She also asked that donations brought directly to the senior center be delivered during business hours. Food items left outside when the center is closed have to be thrown out, she said.